Elegant black pillar candle for your Halloween and everday decorating needs. Smooth black paraffin wax and the lead free cotton wick promises an even burn. Flat top. Burn Time is usually 40 Hours. 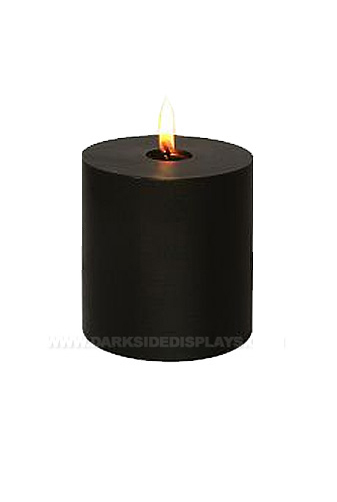 Black Pillar Candle measures 3"D; 3"H x 3"W. 1 ea.